There is a huge fight looming that is already begun in many localities, which involves the deployment of 5G cellular radio equipment. Both residents and localities are wary of the dramatic increase in the number of poles and towers that are needed. There are various numbers floating around about the spacing for 5G cellular equipment, and they range from a low of around 500 feet apart to a thousand feet apart. Compare that to the current typical separation distance of 3G/4G towers of 1-2 miles. The 5G equipment is smaller and can be mounted on existing light and traffic signal poles, and new poles can be shorter: thirty to forty feet, because the poles are closer together. But in urban and many suburban neighborhoods, that means a 40' foot pole with a bunch of boxes and antennas hanging off in the right of way, or what most people consider their front yard. Visually, some of the deployments are just plain ugly, and there are concerns about radiation exposure with the microwave antennas so close to homes and businesses. The cellular providers do not want to have to go through the traditional permitting process for what could be hundreds of poles in a single locality, with special use permits, engineering studies, and public hearings for every pole. The localities, quite correctly want some say in what goes in community right of way. Hence the looming fight. The dilemma for all parties is the insatiable thirst for more mobile bandwidth, conflicted with the proliferation of infrastructure in undesirable areas. It's not going to be easy to solve this. As an example of the often arcane permitting process, we recently had to place an eight foot wooden post in the ground to hold a small radio. The post was proclaimed a "tower" by the local planning department, which led to more than a year of challenges to get the eight foot wooden post approved. We eventually got it installed, but the process included an inspection of "tower footers," which was just about one bag of gravel in the bottom of the hole, and then a "hole inspection," and we were never really certain what they were looking for, but we could not drop the eight foot wooden post in the hole until the hole was inspected. Local governments need to try to meet broadband providers half way, or we are going to see a continued push for state level regulations that remove all right of way authority from local communities. Everyone, public and private, wants improved broadband access, but how we get there is going to require an openness to compromise on some issues. The Blackphone is a smartphone based on the Android OS, but with additional layers of security and encryption, giving Blackphone users secure use of email, messaging, and voice telephony. It maybe that Snowden's leak of NSA data collection may turn out to have a silver lining, as we may see a market for these kinds of devices develop much faster than anyone would have thought. Facebook and LinkedIn now appear to be exchanging subscriber information, as I just received a Facebook email suggesting that I friend two business associates. The only way Facebook could know I have any relationship with these people is if Facebook had access to LinkedIn subscribers. I only use Facebook for close family and a few friends, so Facebook could not have made the connection with these people (one of whom is in Asia) by doing a second and third degree of separation search. While the NSA data collection is troubling, we need to keep in mind that all the "free" services like Facebook and LinkedIn are "free" only because we give them permission to sell/give away/distribute our personal information. Anyone who complains that Facebook is giving personal information to the NSA is forgetting that you already gave them permission to do that when you asked for a "free" subscription. Georgia Tech and Microsoft have released a study that confirms what most of us already knew: bandwidth caps discourage people from using broadband productively. Bandwidth caps are great for inflating the profit margins of the incumbents when someone runs over their limit and starts incurring more charges, but if you want your business community and your work from home business start ups to be as productive as possible, saddling them with outdated 20th century infrastructure that limits what they can do is not the way to go. Design Nine helps our clients build modern broadband networks that can deliver as much bandwidth as any business or home-based worker might need--affordably. It's not that hard, but it does require the right business model, the right long term financial plan, and a network architecture that can deliver Gigabit bandwidth affordably without crippling economic development. Eldo Telecom has an excellent critique of the proposed USF reform. My concern with any USF reform is that it should allow community-owned broadband efforts access to USF funds. There is no reason why a community that builds its own open access infrastructure should be forced to channel their portion of USF funds to legacy networks. Forbes to rural communities: "Don't bother"
Connected Planet comments on a Forbes blogger has ignited a rich discussion online by saying that broadband in rural areas is a waste of time and money. It really is about roads--digital roads. Many rural communities will not survive without improved access to affordable, high performance broadband infrastructure. The Forbes article fails utterly to differentiate between what we call "little broadband," meaning DSL, cable modem, and wireless, and "big broadband," which is fiber to customer, starting at 100 megabit capacity and now moving quickly to Gigabit. The incumbents use a circular argument to "prove" rural areas don't need big broadband by claiming that they don't see any of their customers using it, but how can you use it if you don't have it. For the past eighteen years, anytime broadband capacity has been increased, customers find new ways to use it that pushes the limits of that technology. AT&T recently indicated that their smartphone customers use as much as 1000x more bandwidth than "dumb" cellphone customers, and nationally, cell tower saturation is above 70%. When that number hits 80%, the network is at full capacity because of demand spikes. As the interstate highway system was built out, rural communities that were bypassed often withered away. Rural towns face the same prospect as more and more business activities are conducted via high capacity broadband: if the rural town does not have affordable access to competitively priced broadband services, businesses will leave and new businesses will not move there. The good news is that, unlike the interstate highway system, high performance broadband is much less expensive and every rural community can have the equivalent of an exit off the interstate. Art Brodsky has an interesting article about the T-Mobile/AT&T wireless merger. Brodsky illuminates a wide range of interlocking business relationships that are helping to push the merger forward, even though it would create what amounts to a duopoly in the cellular business, with AT&T and Verizon having about 80% of the U.S. market locked up. What's next? Why, expect that in about two years, Verizon and AT&T will begin discussing a merger, because it will be so much better for their customers if they don't have to shop around and have to deal with the time-consuming research required when you have choice. And don't forget that in the landline business, AT&T and Verizon also own a majority of the U.S. market for phone and leased lines. I was working for AT&T both before and after the 1984 break up, and there was nothing efficient about a company with a million employees. Prices for services were artificially high and there was no incentive to innovate. Even a duopoly is bad for customers, as whoever the two firms that own the duopoly market are, once they have driven out any competition, what's left is simply making it uninteresting to switch to the other provider. And this is best done by keeping prices at both firms high and relatively equal. Lots of profit and low customer churn. The biggest loser is rural America, which needs high performance, affordable broadband to keep rural communities economically viable. What is troubling is the willingness of rural legislators to vote for laws and mergers that go against the interests of their own constituents. U.S. Broadband Goal: 1/75 as good as Lithuania! Via Stop the Cap!, some Lithuanian broadband customers are getting bandwidth increases that can range has high as 300 megabits, up from the current 100/40 bandwidth for the Premium plan. There is no price increase for the improved performance. Since the U.S. Broadband Plan targets 4 meg as entirely adequate, we can imagine a catchy slogan: American broadband! 1/75 as good as Lithuania! The usually excellent Stop the Cap! has a report on the truly awful anti-broadband bill making its way through the North Carolina legislature, but they lost me when they started blaming "free markets" as the problem. Uh, no, the problem is crony capitalism, where the incumbents spread campaign donations liberally to representatives of both parties, to obtain the best laws money can buy. That's not free markets. When Stop the Cap! indicts "free markets" as the problem, the incumbents win, because that's the line the incumbents use to confuse the issue. Most incumbent telecom providers are, in fact, utterly opposed to free markets, because they lose their de facto monopoly status in a free market. This distinction is absolutely critical to winning the debate. Community broadband efforts are going to lose every time if the community broadband pitch is "we don't like free markets." Community broadband is all about free markets and competition, real competition, of the kind we see in open access projects like Utopia with seventeen (17) providers on the network--that's an open market, and that's what communities want and need. The proper response to "It's important to let the free market prevail..." in a discussion about telecom is to agree. "Yes, we agree completely. We fully support free markets. We want buyers of telecom services to be able to buy from a wide variety of telecom providers, not just one or two acting as a local cartel." The "free markets" argument is a red herring. Community broadband advocates need to vigorously applaud free markets, then point out where they don't exist. The North Carolina-based Mountain Area Information Network (MAIN) filed a public comment to the FCC calling for more attention to community-owned broadband networks. MAIN's executive director, Wally Bowen, has been involved in community broadband initiatives since the early nineties, and is one of the true pioneers of the community broadband movement. Read the whole article. Broadband: Why are prices going up when prices are going down? Stop the Cap! has a great analysis of the slow but steady shift to usage-based charges for bandwidth. The wireless providers have been moving from unlimited data subscriptions to metered subscriptions for about a year. On cellular data networks, this makes a certain amount of sense, as the capacity of these wireless networks is extremely limited, despite the wild claims of "world's fastest wireless network" and the marketing hype of 3G, 3.5G, 4G, LTE, and soon to come, 5G, 6G, Infinity and BeyondG, and so on. But on wired networks, despite the increase in use by businesses and residents, prices for Internet connectivity in the wholesale market are dropping sharply, and more and more fiber is being built on inter-city routes that are making the drop in cost possible. So why are the retail providers shifting to metered bandwidth? Because they can. The duopoly of the cable and telephone companies allows them to maintain cartel-like pricing in most markets because buyers of services have no other options. Their old copper-based networks are overloaded, they won't admit it, and metered pricing is one way to force customers to use less bandwidth. The cable companies are terrified of the shift away from TV towards video via the Internet. Despite the low margins in the cable TV business, cable subscriptions provide enormous cash flow for these companies and represent the core business. As more customers drop their cable subscription in favor of just keeping their Internet service, at some point this behavior introduces a death spiral for the cable companies, as switching to 100% video/TV from the Internet (see the Hulu announcements as one example) by customers simultaneously reduces revenue while putting more pressure on already overloaded and ancient, asymmetric copper networks. The solution, as always, is to introduce competition via a single, high performance fiber network that is owned by the community and shared among all private sector service providers. That approach simultaneously eliminates limits on bandwidth while solving the service provider capital expenditure (capex) problems. Everyone wins in that scenario, but some companies would rather destroy the economic vitality of the communities they serve than change their outmoded business model. Think this is all crazy talk? Read this comment from the article about Hulu changes. This is happening every day. We cut the cord to conventional TV a year ago and have never looked back. All of our content now comes from Hulu, Netflix, and YouTube. I do subscribe to Hulu+ and Netflix, effectively turning what used to be a $120 per month charge into a $20 per month charge. We view most content on our TV via an AppleTV, and the remainder is viewed using iPads. This setup is working well for us. The Camino Fiber Network Cooperative, located in a rural part of California, has filed an excellent brief with the California PUC. It does a superb job of providing short, concise answers to a whole range of questions regarding state and Federal utility policy and its effects on local and regional community broadband efforts. This should be distributed and read widely by any locality or community group that is engaged in developing community-owned broadband infrastructure. For convenience, I have also attached a copy to this article. It is still rare to have a politician address the issue of broadband in any sensible way, but incoming Governor John Lynch just set the bar a little higher by noting that ubiquitous access to "big" broadband is essential to jobs growth and economic development. Here is what he has to say. Today, however, infrastructure is more than roads and bridges. Our companies and citizens need access to high-speed Internet to compete in this economy. Through the federal stimulus, we are leveraging more than $66 million in federal and private funds to build an expanded broadband highway for New Hampshire. A project that will support 700 jobs, improve communications, and make it easier to connect all parts of our state to high-speed and affordable broadband. Let us build the information highway of the 21st century. 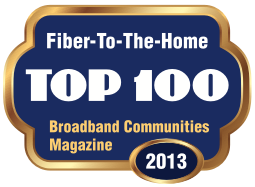 Let us bring affordable broadband to all of New Hampshire. The always excellent Muni Networks has an article that sheds additional light on Burlington Telecom. The article includes a response from Tim Nulty, who helped start the BT venture. Nulty sheds some light on the early take rate targets; BT had financial plan pegged to meeting take rate projections, and the network was meeting those take rates. The financial pro formas Nulty was using shows that BT was on track not only to cover operating expenses but to begin paying back the borrowed funds. But inexplicably, after Nulty left, the marketing effort that was in place and was meeting take rate targets was dropped. Predictably, the number of new customers being added also dropped, and at that point, the project began sliding downhill financially. This is Nulty's side of the story, and there are still several other points of view. But Nulty's explanation rings true and sheds some light on what may have happened. A good marketing effort is critical, and it has to be sustained over time. Community networks that take a field of dreams approach to marketing, "If we build it and then just sit back and wait for customers" will have trouble meeting financial targets, just as any other business. Community-owned telecom infrastructure cannot be treated like sidewalks--you build and let it sit for thirty years. Governing boards and senior staff have to have a solid business plan and demonstrated experience managing substantial business enterprises. A community broadband network cannot be treated like a typical nonprofit-- which typically have a narrow mission and no paying customers. There is plenty of sturm und drang elsewhere about yesterday's net neutrality decision by the FCC, so I am not even going to link to anything. I think that it is extremely likely that Congress or the courts, or both, will force the FCC to withdraw this new ruling, just as the FCC's ruling earlier this year was turned back. While opinions differ, it is not at all clear that the FCC has the statutory authority to do what it wants to do with net neutrality, and so nothing much is going to change until there is a ruling. As usual, I think there is a better approach than trying to get the incumbents to change their business models by statute. Open access networks, owned by the community and managed as a digital road system, can have "net neutrality" baked into the business model so that no legislation is needed. The technology of the Internet now allows us to move beyond the outdated multiple networks (one for voice, one for TV, etc.) that were a requirement in the analog world. We can now treat networks just like we manage roads: one shared road system used by all public and private users. It lowers costs, and creates huge business opportunities for the private sector if done right. And no, I am not advocating that we should be buying our Internet access and phone service from the government. We don't have to go to the local town hall to buy groceries--but the grocery store and its customers both use the same shared road system to get food to the store and then to travel to the store to buy food. Some communities (more than 100 in the U.S.) are already building and managing their own digital road systems. And it is an approach that creates a way for incumbents to move beyond their "little broadband" networks, retain their existing customers, and reach new customers. Everyone wins. Freedom to Tinker reports that the U.S. Court of Appeals for the Sixth Circuit has ruled that email is protected by the Fourth Amendment. The Fourth Amendment requires a search warrant issued by a judge before law enforcement officials can search premises, and has long been applied to opening sealed paper mail. But some law enforcement officials have wanted to simply get service providers to supply them with the contents of a customer's email without a warrant, on the rather thin basis that the emails are stored in a readable format. The ruling is significant and ensures that citizens are protected against frivolous or unjustified searches of electronic mail. Stop the Cap! has an article about the incumbent fight to kill the nation's most successful open access network: Utopia. Utopia's open access network has thousands of subscribers and fifteen providers on the network, including three TV providers. I've actually had the opportunity to see the Utopia TV provider offerings, and the picture quality of an all digital TV channel delivered via fiber is incredible. Has Utopia had problems? Some early financial issues developed because the first firm hired to manage the network made some decisions that have since been corrected. The management firm is long gone, and Utopia took network management and outside plant maintenance in-house almost two years ago, with excellent results. The incumbents in the area--Comcast and Qwest--have been invited repeatedly to come on the network and offer their service to their existing customers, but instead, the first seem to want to simply try to force the competition out. The situation is unfortunate, but is being repeated in other areas of the country, where incumbents are choosing to try to force monopoly pricing onto communities instead of competing in the marketplace. Disclaimer: The Utah Infrastructure Agency has been a client of Design Nine. Chris Mitchell has a short but pointed note about the fallacy of the "leave it to the private sector" policies that have received so much attention, mainly because the incumbents have pushed that approach vociferously over the past fifteen years. But Mitchell points out that it has largely failed, with many fewer ISPs than in the late nineties, and overall, fewer telephone and cable companies as the big telecom giants gobble up the smaller ones. His final point is the most important one: to maintain some balance and to encourage real competition, there needs to be the opportunity to form and run community-owned networks that are "structurally accountable" to the community itself. Telecom and broadband services have become essential economic development infrastructure, and communities need to be able to control their own destiny. I don't subscribe to the notion that the incumbents are bad. I don't subscribe to the idea that they should be regulated out of existence. What I do believe is that community-owned broadband networks ought to be given a fair chance to prosper without the regulatory dead weight of prohibitions, restrictions, and statutory limitations on access to capital. The incumbents have had fifteen years to provide a modern fiber-based infrastructure to American homes and businesses, and they have, by their own admission, declared, "we can't do it." Fine. Let's take them at their word, and unleash American innovation and enthusiasm to try something different, like open access networks, which have network neutrality baked in when owned and managed by a neutral third party like a community or regional consortium. Open access projects like Utopia have fifteen providers on the network, including three TV providers--that's real network neutrality and real choice, without the need for excessive regulation and complicated rule-making. Scientific American has a short article on the supposed dangers of cellphones. This is something I have always been worried about, but there has never been any convincing data for or against the supposed dangers. Many of the studies I have read about hedge a lot. I'm still not sure about what to believe, but this article provides some of the physics behind electromagnetic radiation, and it is seems to provide some hard science-based justification for worrying a bit less. In any case, I'll continue to use a wired headset and not keep my cellphone strapped to my waist when I'm in the office. Simple precautions can't hurt. Chris Mitchell of the Minnesota Institute for Local Self-Reliance testified before the FCC recently on behalf of community broadband projects. Mitchell argued eloquently that state legislators should not be able to preempt local governments from starting and managing community broadband networks. The short video is well worth watching.